Effective business process management (BPM), or more commonly known as workflow, can improve business performance, increase revenue and decrease the amount of time it takes to complete a task. 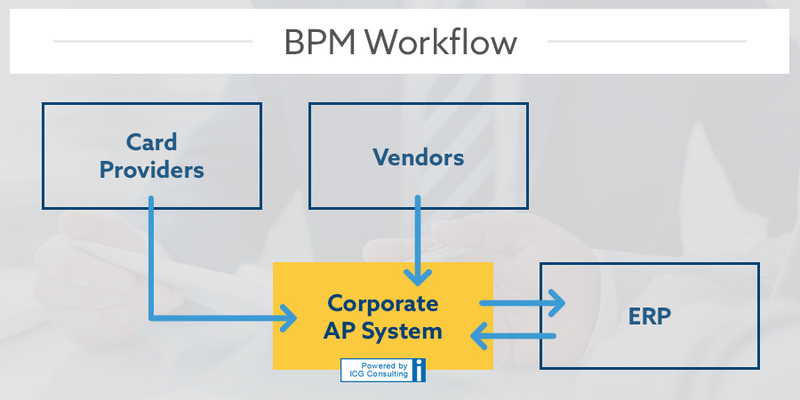 Taking advantage of BPM technology and automation can increase the efficiency of AP processes including invoice management, remote approval processing, matching, customer invoice workflows, and data capture. We take an individualized approach with our clients by optimizing financial back-office processes without overhauling your entire system. If your financial back-office processes do not include any automated elements, you may be wasting valuable time and resources. ICG’s process management solutions can integrate with back-office systems beyond AP in areas such as AR, vendor portals, HR, distributor administration, and data capture applications such as OCR. At ICG, our team of experienced business process and technology professionals model BPM solutions to meet the user’s needs and fit your technology infrastructure. Contact us today for more information.